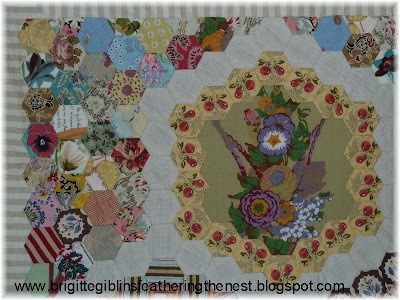 This is a section of the central 1" hexagon medallion in the Anna Brereton Quilt. 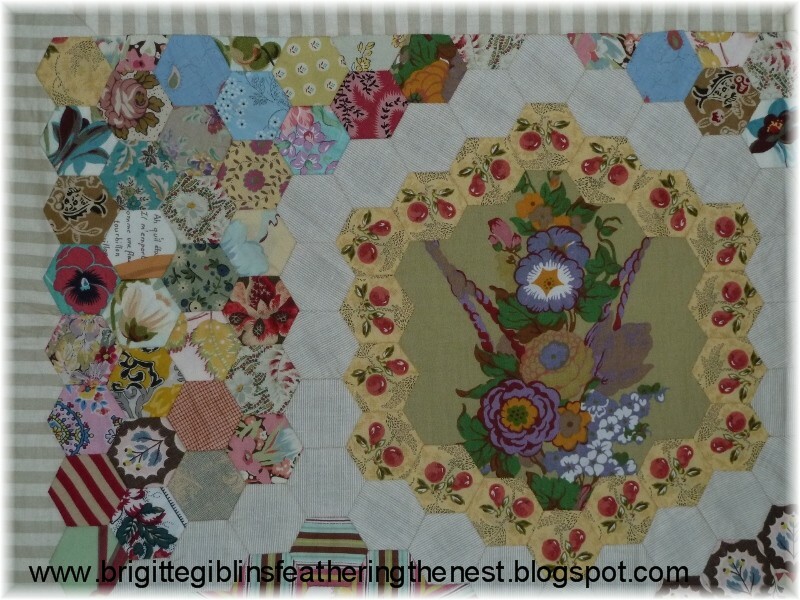 The framing hexagons around the 7 panels have been fussy-cut, while the corners of the medallion have been filled in with random scrap hexagons. 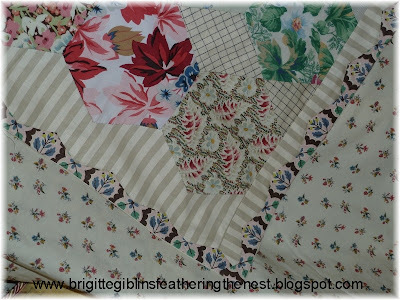 Detail of the edging on the Anna Brereton Coverlet - folded over to reveal the backing fabric. The edging was sandwiched between the top and backing, and then folded over the top, to be appliqued on the outside edge. This type of edging is called a "dog tooth" border. This edging is the same fabric as is used to surround the central panel in the quilt - "Zarafa" the Giraffe.